We offer our mortar testing and matching services across the country. Do you need quality brick mortar repair services or products? We provide mortar matching, mortar testing, and other products and services. The most important part in any mortar restoration is the mortar used. The replacement mortar needs to match the original mortar in mortar type and crushing pressures. We also match the color and the sand to provide a complete mortar match. 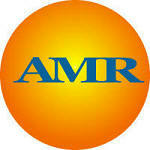 AMR Labs is dedicated to providing quality brick and mortar repair products and services. Among these Services, we offer mortar analysis and mortar testing. These are part of our mortar matching services. Matching the mortars type and crushing pressure are vital for several reasons. The most important reason is that improper mortar will not bond to the original mortar in the joints correctly. If the mortar is too hard, it will deflect and often causes damage to the bricks. If the mortar is too soft, it tends to crumble or deteriorate and is often unable to carry the weight of the brick. Both of these, allow recracking and can cause additional damage or danger of falling brick or walls. Mortar matching is achieved through a number of tests of samples from your mortar. The first test in our mortar analysis is a crushing pressure test to determine the mortar type. Different mortar types will crush at higher pressures. At this point, your crushed mortar sample is washed through a hydrochloric test from which we derive various details about your mortar including the color and gradation of the sand used. Only after we have obtained all of these details about your mortar, can we even begin to match the color of your mortar. There are many masonry products available on the market for new construction, and many companies who try to use them for repair. This simply cannot work. These products come in grey and white and require full package consumption at time of use to achieve the labeled mortar type. When small portions of these bags are used to blend a matching mortar color, there is no way to know how much of the portland or lime that make the mix are being used. This makes the resulting mortar type unknown. This is why we mix from the base units to create a matching mortar. It is the only way to know what type of mortar and crushing pressure is being created. With this starting point, we match the grey tone of your mortar to our color charts, and begin adjusting pigments as needed. After, your mortar color is matched, AMR Labs can produce custom bags of pre-matched brick repair mortar for your brick repair project. We have put together many brick repair training tools to help you complete the brick repairs around your home. Among these are "The Brick Repair Guide" and various brick and mortar repair training videos. We offer our mortar testing and matching services across the country. To learn more visit our products pages. Feel free to provide feedback or ask me a question. Visit our Contact Page for more information on how to reach us. Thanks.